Part 1 - Work in Progress. It has been a busy few days spent pressing and cutting fabric, trimming units, and mostly sewing. I totally underestimated how many hours would need to go into making this quilt top, and I have had some late nights for it is during those quiet small hours that I am most productive. 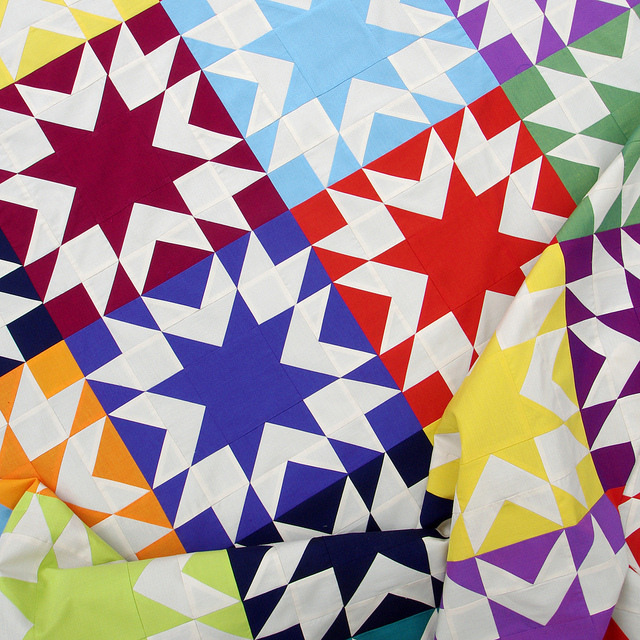 For this quilt top I have used a Fat Quarter Bundle of Oakshott Colourshott fabric. 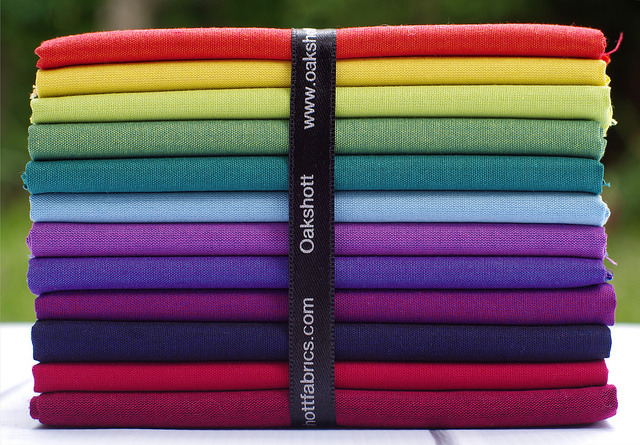 This particular bundle is the Aruba collection - a rainbow of 12 vibrant hues. 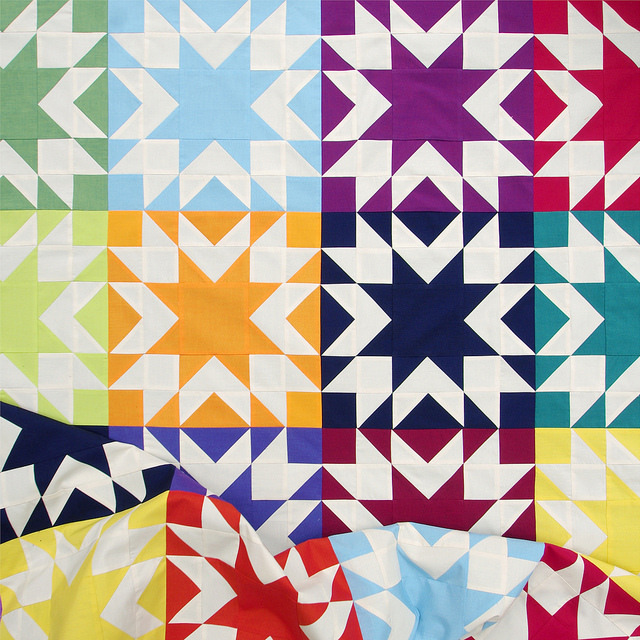 The cotton weave is shot - with a warp and weft of different tones - which creates a beautiful luminous and iridescent hue - difficult to capture in the photographs of this quilt top but more easily seen in the fabric bundle pictured above. 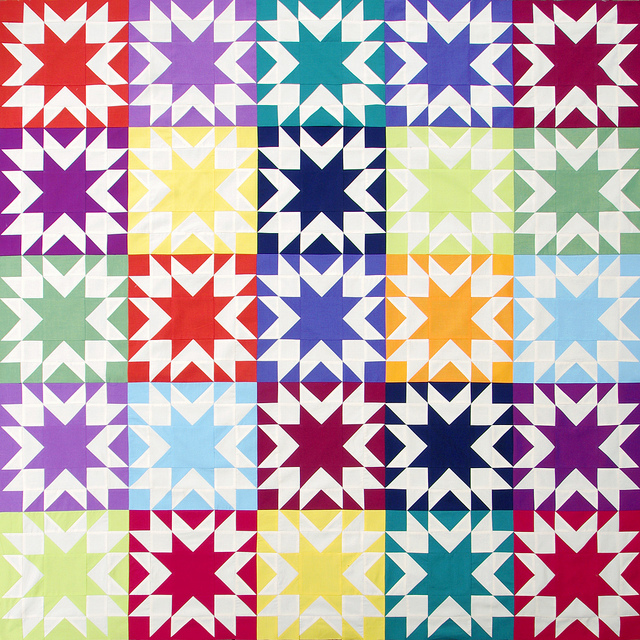 The pattern is based on a traditional quilt block which as suggested by my trusty quilt block bible ~ 5,500 Quilt Block Designs by Maggie Malone ~ is known as Memories. 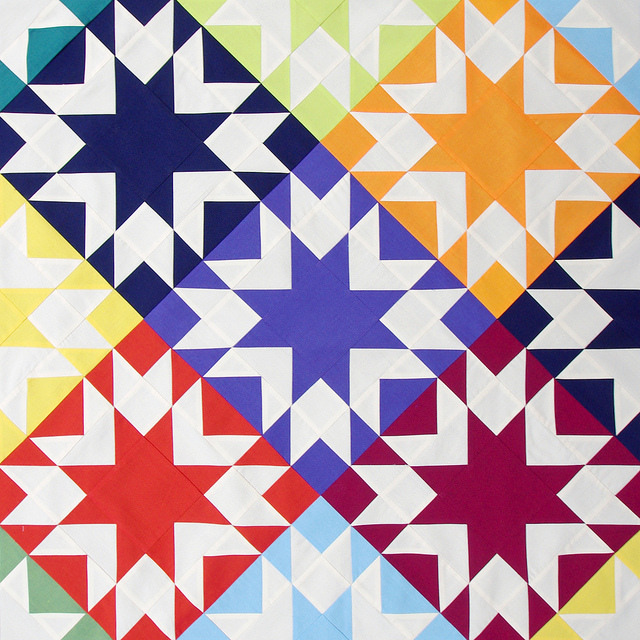 I love this simple star block and enjoy looking for the secondary patterns that are created by joining the blocks together without sashing. and the background fabric is Colourshott in White Sand. A total of 1225 patchwork pieces. Pattern available in my Etsy Store and Pattern store. I am keen to get get started on the quilting and see how the quilting adds to the quilt but first ... basting. Memories Quilt - The Finished Quilt - Pattern also available. Gorgeous! 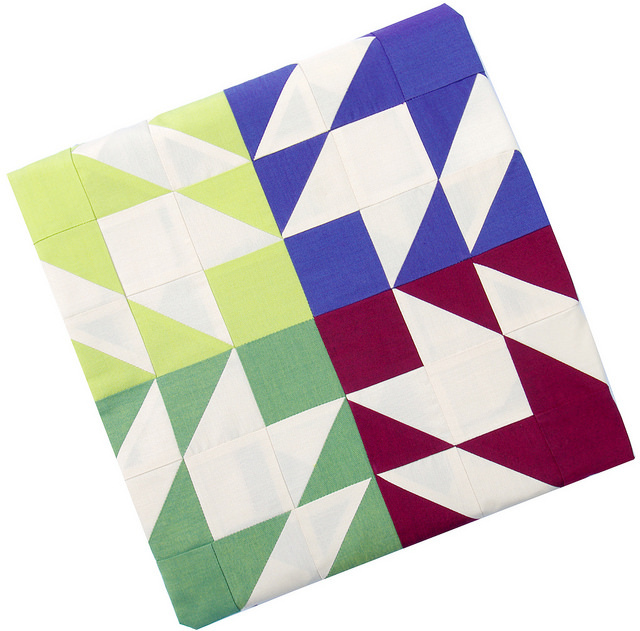 I am very interested to know how you end up quilting it! 1225 pieces! It looks fantastic. 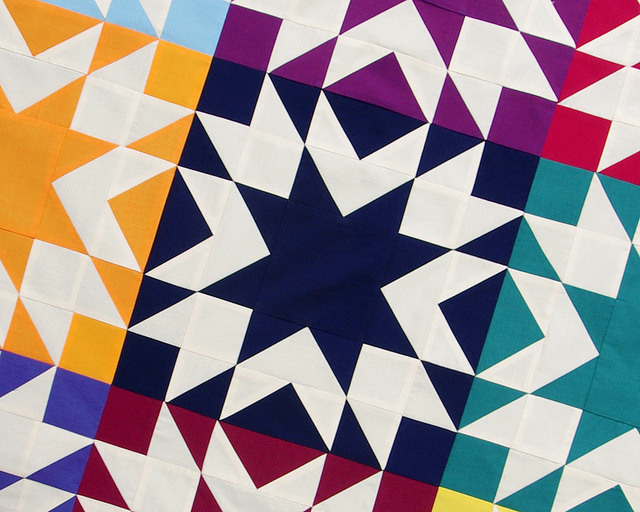 Beautiful crisp piecing and a wonderful graphic quilt. The colours really sing! 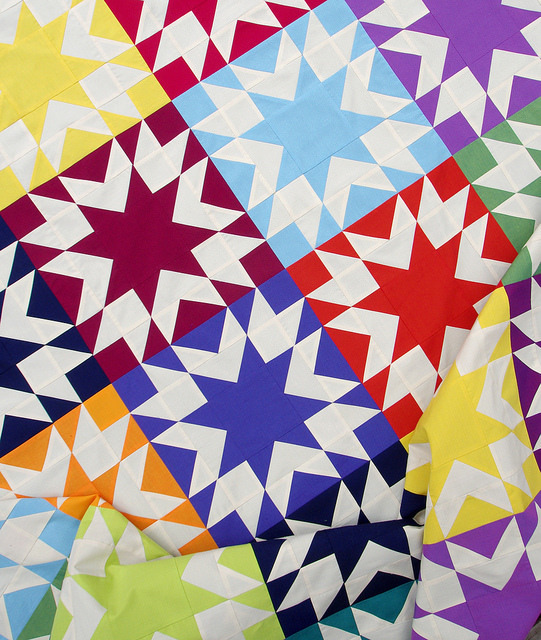 Your quilt is stunning! Wow! I wish I was more confident with flying geese. 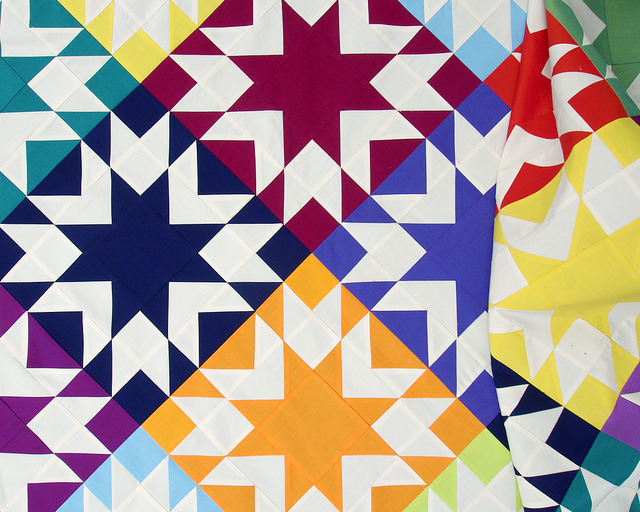 I Love your quilts!! Thank you for all of your ideas. Sometimes I just stare at the designs thinking, I'd like to make one like that!! WHOA! This is striking. Rita, I love it. This is lovely fabric too. Just stunning!!! Can't wait to see how you quilt it! Did you add that kind of orangey-butterscotch color from your stash? It is perfect in that one block.